Is Medical Marijuana Discrimination Legal in California? In California, employers can’t discriminate against employees for their medical conditions or disabilities absent some very, very limited circumstances. Under the law, “disability” is defined as “any medical condition” (physical or mental) that in any way “limits a major life activity” such as working, eating, sleeping, walking, etc. Title VII of the Civil Rights Act, the Fair Employment and Housing Act and California law (CA Government Code 12940, et seq.) all have completely outlawed discrimination based on an employee’s disability or medical condition unless the employer can prove that such discrimination was necessary to protect the health and safety of others and/or that accommodating the employee would be financially impractical or would somehow harm their legitimate business interests. So, in other words, it’s really, really hard for employers to discriminate against disabled employees and, when they do, employers suffer very expensive lawsuits and massive jury verdicts to ensure that they (and other employers) won’t do it again. Needless to say, most employers know these risks and take great pains to steer clear of any suspect behavior. WIth all that being said, I was shocked to find out that, according to the California Supreme Court, employers can actually fire or refuse to hire disabled employees based solely on the fact that they use medical marijuana to treat their condition while off-duty and offsite (aka in the privacy of their own home). So, if an employee has a genuine medical condition (cancer, depression, AIDS, glaucoma, etc.) and is prescribed medical marijuana to treat their symptoms at home, how in the world do employers get a free pass to discriminate against that employee for what is essentially his or her underlying medical condition? Well, this question came before the California Supreme Court back in 2008 in the case of Ross v. Ragingwire Telecommunications, Inc. Specifically, the California Supreme Court examined whether it was legal for Rangingwire to terminate their new employe (Gary Ross) because he tested positive for marijuana just days after his hire. Ross, a disabled military veteran, tested positive because he uses marijuana at home for medical purposes under the direction of his doctor to treat his chronic pain, which is allowed under California’s Compassionate Use Act of 1996. Supreme Court Justice Kathryn Werdegar authored the Court Majority’s opinion in Ross and, in a nutshell, explained that employers could indeed discriminate against disabled medical marijuana users because (1) the Compassionate Use Act of 1996 doesn’t say that employers can’t discriminate and (2) because medical marijuana use is still illegal under Federal law and therefore shouldn’t be afforded protections under the FEHA. Plaintiffs position might have merit if the Compassionate Use Act gave marijuana the same status as any legal prescription drug. But the act’s effect is not so broad. No state law could completely legalize marijuana for medical purposes because the drug remains illegal under federal law (21 U.S.C. §§ 812, 844(a)), even for medical users (see Gonzales v. Raich, supra, 545 U.S. 1, 26-29, 125 S.Ct. 2195, 162 L.Ed.2d 1;United States v. Oakland Cannabis Buyers’ Cooperative, supra, 532 U.S. 483, 491-95, 121 S.Ct. 1711, 149 L.Ed.2d 722). Instead of attempting the impossible, as we shall explain, California’s voters merely exempted medical users and their primary caregivers from criminal liability under two specifically designated state statutes. Nothing in the text or history of the Compassionate Use Act suggests the voters intended the measure to address the respective rights and obligations of employers and employees.The FEHA does not require employers to accommodate the use of illegal drugs. The majority’s decision leaves many Californians with serious illnesses just two options: continue receiving the benefits of marijuana use “in the treatment of cancer, anorexia, AIDS, chronic pain, spasticity, glaucoma, arthritis, migraine, or [ ] other illness” (Health & Saf.Code, § 11362.5, subd. (b)(1)(A)) and become unemployed . . . Surely this cruel choice is not what California voters intended when they enacted the state Compassionate Use Act. Nothing in the text of the FEHA or in California decisional law supports the proposition that a requested accommodation can never be deemed reasonable if it involves off-duty conduct by the employee away from the jobsite that is criminal under federal law, even though that same conduct is expressly protected from criminal sanction under state law. 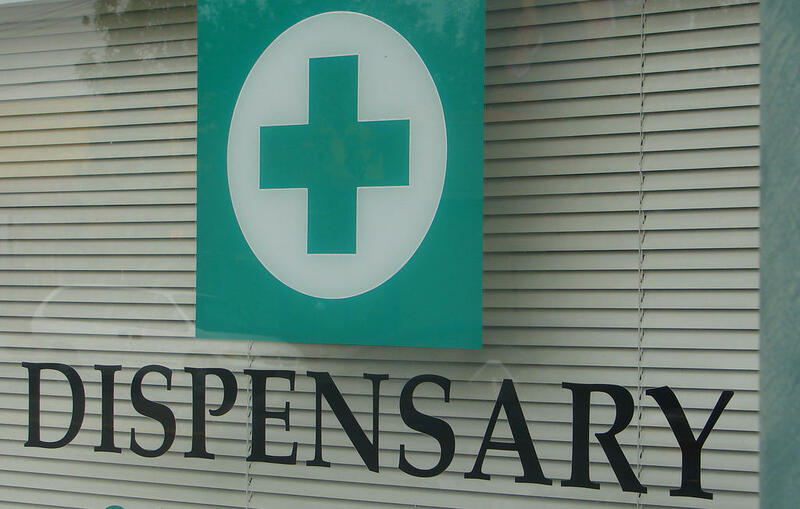 Considered strictly in terms of its physical effects relevant to employee productivity and safety, and not its legal status, marijuana does not differ significantly from many prescription drugs—for example, hydrocodone (Vicodin), hydromorphone (Dilaudid), oxycodone (OxyContin), methylphenidate (Ritalin), methadone (Dolophine), and diazepam (Valium)—that may affect cognitive functioning and have a potential for abuse. The medical use of any such drug poses some risks of absenteeism and impaired productivity. Indeed, many nonprescription medications taken for the common cold, seasonal allergies, and similar minor afflictions frequently have side effects, such as drowsiness or dizziness, that may impair productivity. The majority does not deny that the FEHA may require an employer to accommodate a disabled employee’s doctor-approved medical use of other substances that potentially could impair job performance. Absent such a showing of business impairment, I would hold that neither the Compassionate Use Act nor the FEHA allows an employer to fire an employee for offsite and off-duty, doctor-recommended marijuana use as a medical treatment. It’s an interesting question, and I personally side with the dissent: as long as it doesn’t prevent the employee from performing his or her job and/or interfere with the employer’s business, the employee should absolutely be able to treat his or her medical condition with whatever medication a doctor may prescribe, especially when, like Ross, the employee can treat offsite and off-duty. In any case, considering the Supreme Court’s stance in Ross, it’s doubtful that medical marijuana discrimination will be deemed illegal by a California Appellate court anytime soon. Even though FEHA protection makes the most logical sense for medical marijuana patients, the majority opinion has a somewhat stronger legal argument, meaning this problem will probably require a legislative fix by California voters, perhaps by an amendment to the Compassionate Use Act or, preferably, and amendment to Government Code Section 12940 itself, which is California’s version of FEHA. Considering the recent decriminalization of marijuana by Colorado and Washington and renewed discussions on marijuana’s medical benefits (including a popular op-ed by CNN’s Dr. Sanjay Gupta: Why I Changed My Mind on Weed), it might be time to reexamine our state’s position on disabled employees who are able to benefit from medical marijuana.